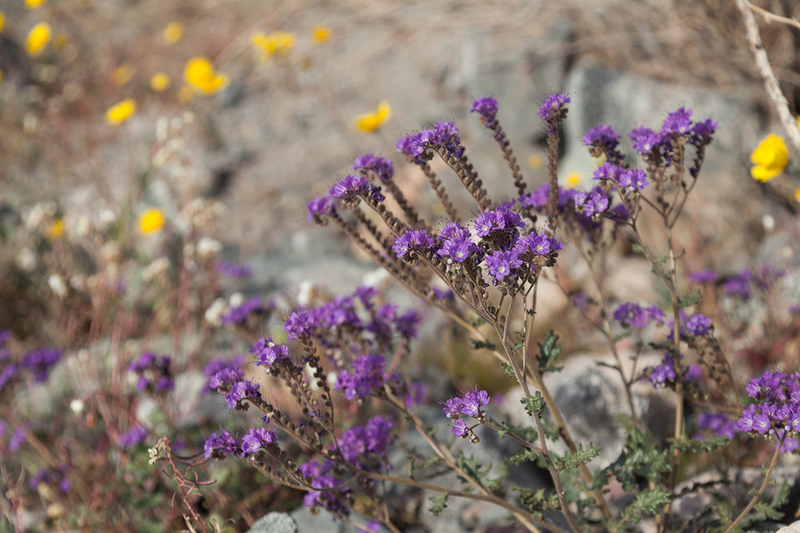 Last fall the torrential rains had a devastating effect on the barren topography in Death Valley. The flash flooding that hit the region caused more than $20 million dollars in damages, washing away parts of the road that lead to our beloved Scotty’s Castle, closing it for the foreseeable future. But now, there seems to be a silver lining. 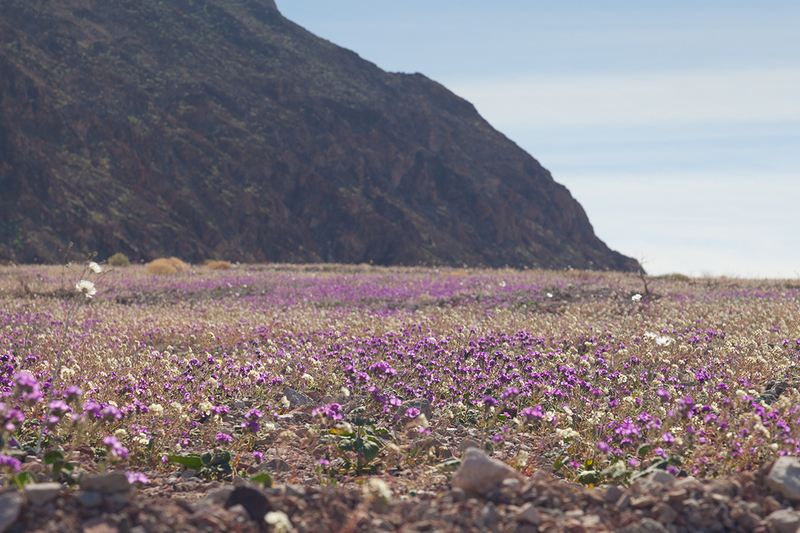 Death Valley super bloom. Photo courtesy of Alonzo Wright. 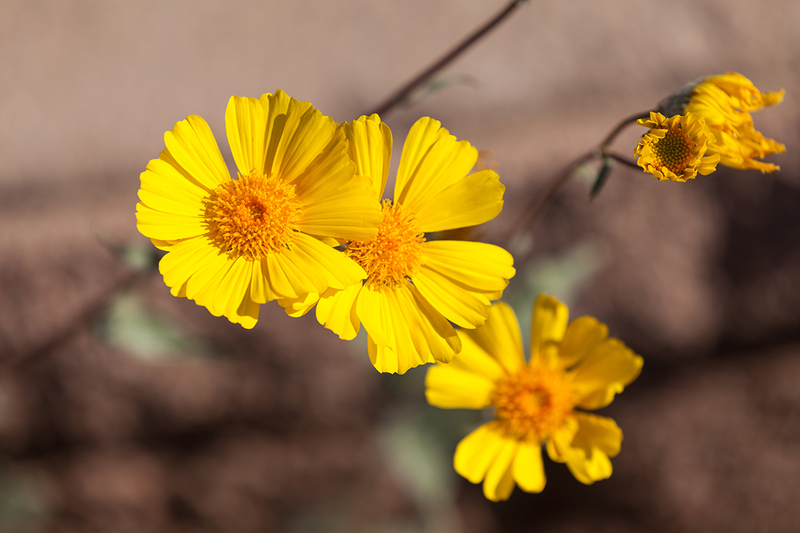 It’s called the “super bloom.” Yeah, kinda like the super blizzard, super hurricane and all those other terms we use to make everything sound crazy serious and important so you’ll pay attention. Only this time, we really mean it. 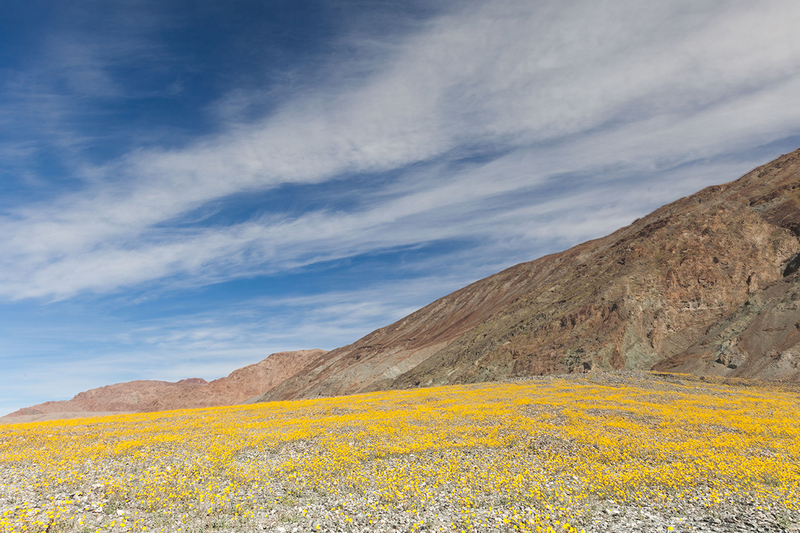 Normally, people get to see a “super bloom” like this once every 10 years or so. With the California drought conditions worsening each year, the National Park Service says we haven’t had one on this scale since 2005. While you’re not going to round a corner and see a field of bright fuchsia (unless you’re into extracurricular herbs), it’s still quite startling. Then comes the light bulb moment when you realize, this must have been what Sting was talking about when he wrote “Fields of Gold.” Because that’s pretty much all you see. But even more surprising than the visuals, are the fragrances. When you get close to the fields, it smells like you stepped right into a bouquet of fresh cut flowers, straight from the florist. If you’ve been to Death Valley before, you know very well the only scents you’re going to experience are dirt, dust and possibly your own B.O. We’re a little bummed to report that because of the rising temperatures, there’s probably only about a week or so left to see these beauties in all their glory. But the good news is that these fields are accessible right along Badwater Road, so a 4×4 truck isn’t necessary. 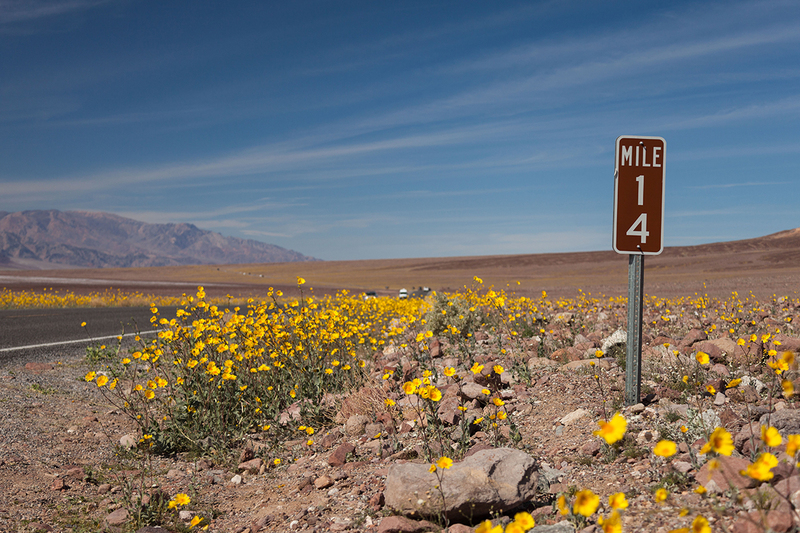 If you’re in the area, or can take a roadtrip to see the wildflowers, don’t miss it. It really is something special. 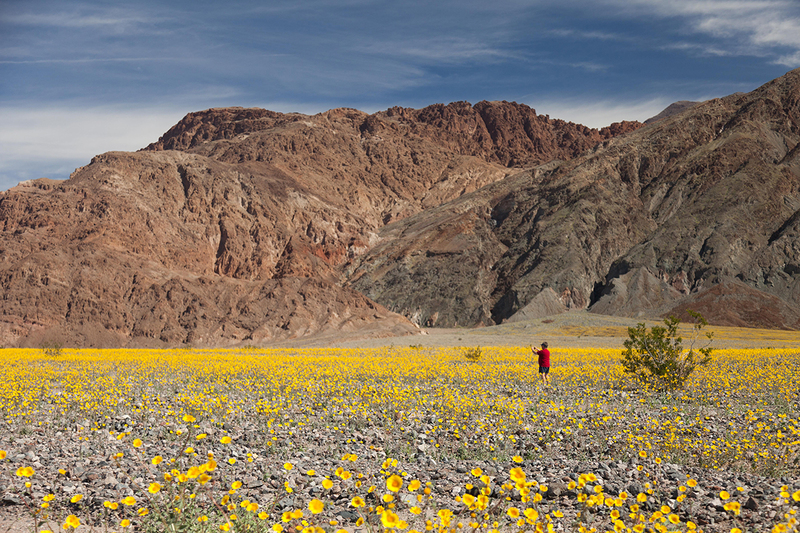 Check out what happened when we sent our Vegas Insiders to Death Valley National Park last year or see more Vegas attractions.